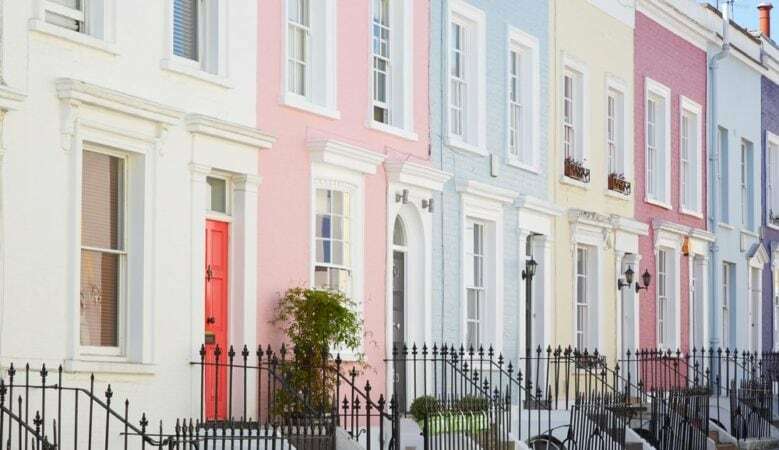 Average prices in the prime central London property market fell by 1% in the year to February amid signs the sector is stabilising, according to the latest analysis. It was the third consecutive month in which a marginal annual adjustment was recorded following a series of steeper declines over the last two years, the report from international real estate firm Knight Frank shows. Despite views to the contrary, the recent volatility within the market has been less pronounced than previous adjustments, with a decline of 7.9% recorded between the last peak in August 2015 and February 2017. But there is a considerable variation in price performance depending on location. For example, prices in Chelsea fell by 15.6% while prices in Marylebone rose by 2.5%, prices in Bayswater were up 2% and in Notting Hill up 1.1%. The growth in Marylebone is put down to the area’s high quality new build pipeline and relative renaissance while pricing in Notting Hill has rebounded after some double digit price falls early in 2017 and has been underpinned by a relative lack of stock over £5 million. According to Tom Bill, head of London residential research at Knight Frank, the price adjustment in Chelsea explains the recent uptick in trading volumes in higher price brackets. There were 26 £5 million plus transactions in 2017 compared to 20 in 2016. In real terms, when factoring in the effects of inflation (CPI), the decline between August 2015 and January 2017 was 11%, the report points out. There is currently no inflation data for February. This compared to a peak to trough decline of 24% over the 12 months to March 2009 as the effects of the global financial crisis and the collapse of Lehman Brothers took hold. The real term drop on this occasion was 26%. It is also less marked than the peak to trough decline of 21% in the three years to July 1992 as fast-rising interest and mortgage rates prompted affordability pressures that preceded a UK recession. Due to higher rates of inflation, the real term drop over that period was 34%. Sales volumes have also stabilised in the last 12 months, as the chart below shows. Trading volumes in prime central London are now growing on an annualised basis, according to LonRes data. However, higher rates of stamp duty are still being absorbed in some parts of the market, so the chart should not be interpreted as showing a market poised to enter a strong upswing in pricing, Bill explained. Knight Frank forecasts largely flat pricing in the prime central London market in 2018 and Bill said that the patchwork nature of the market is also exemplified by data showing that some 40% of Knight Frank offices in prime central London experienced positive growth in the year to February 2018, while there were price declines in the remaining 60%.